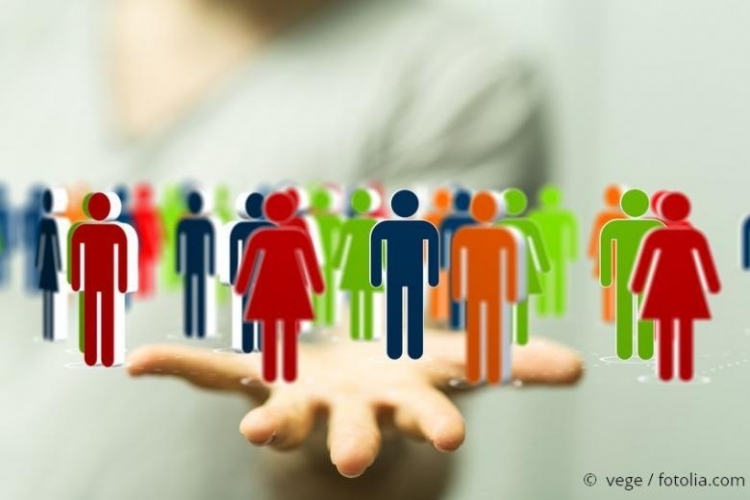 Why are socio-demographic personas alone of limited value for your content marketing? How can you create emotional personas for your content marketing? Incorporating personas for entrepreneurial content marketing is not a new concept. More and more companies are using personas to create customized content for their target audience and are significantly improving communication outcomes with their (potential) customers. Many companies focus on the creation of personas based on socio-demographic characteristics (such as age, gender, income). For content marketing in particular, this approach isn’t very effective. Read below to find out why as well as learn what other approaches are more beneficial. The concept of “personas” is quite simple to explain: Basically, the term describes a fictitious person who is ideally representative of your particular target audience (or a sector of your target audience). The profile of this fictitious person includes information such as demographic characteristics, habits, living and working conditions as well as attitudes. The more detailed and realistic you can make your portrayal of this buyer persona, the better your marketing strategies, campaigns and content can be aligned to this fictional but idealized profile. More and more companies now recognize the potential benefits of content marketing in their communications with customers, prospects and stakeholders. However, this development means that if you want this content marketing to succeed, you need to create very high-quality content and also ensure that your content strikes a chord with your target audience. This is the persona for which you now want to create content – unfortunately, the description fits both Prince Charles and Ozzy Osbourne. Do you think that Prince Charles and Ozzy Osbourne will really be won over with the same topics and content? So if we restrict ourselves to the creation of personas based on socio-demographic data alone, there is a risk that the persona will combine demographic twins with completely different behaviors and interests. 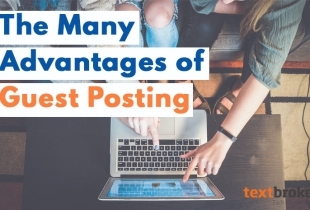 The resulting content will probably not be relevant, and valuable potential will be wasted. Furthermore, decisions made in the B2B sector are not always entirely rational, and emotions and feelings will (often unconsciously) affect most decisions. So it’s important to focus on behaviors and psychological factors in order to develop personas with an emotional dimension. Emotional personas are closely linked to the concept of emotional targeting (a sub-region of neuromarketing). Emotional targeting aims to reach the target group directly at an emotional level. With the help of a trigger – for example, certain words, colors or images – (potential) customers can be subconsciously attracted to a product rather than inspired by rational arguments. This approach has long been used successfully in TV advertising; however, in online marketing – and specifically in content marketing – there’s plenty of untapped potential. Not every person will necessarily belong 100% to one of these types, but each classification has its own unique tendencies. This makes it possible to employ communications targeted at the corresponding brain area and to ensure that a specific type of person feels emotionally influenced by the product or content. In order to develop emotional personas according to this model, it is advisable to talk with sales, customer support or others with direct customer contact. 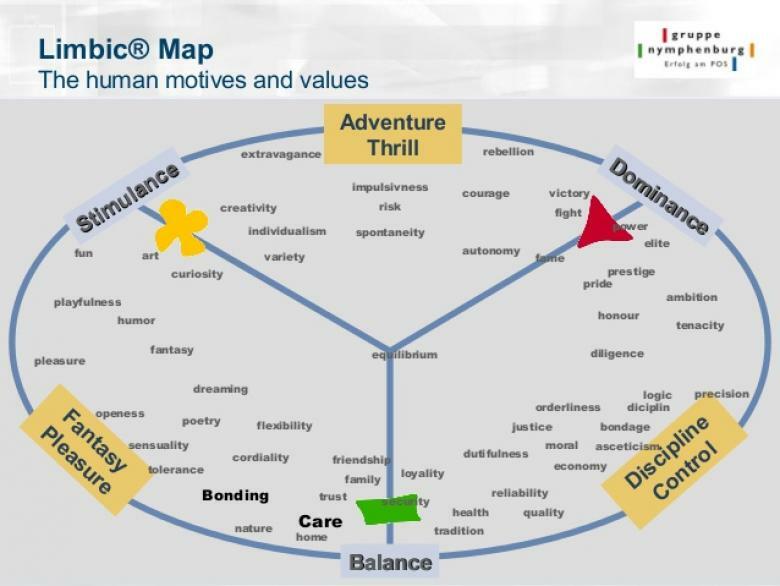 Personas based on real customer experiences, and additional assumptions where appropriate, are then mapped onto the Limbic Map. As a result of this process, different personas will emerge. During the next step, overlapping personas can be combined into an individual persona to keep the final number of personas limited. Then, in the final step, you can select the personas that seem to promise the most success for your business. With any content you create from now on, make sure it matches one of your defined personas as closely as possible. 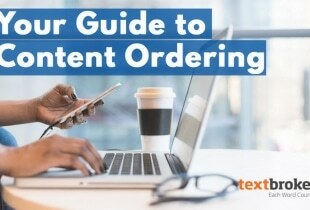 This applies to both the theme and the content as well as to the content format, distribution channel, choice of words, images and colors used and, where appropriate, the call-to-action (CTA). Of course, it’s not essential to apply the principle of Limbic Map. Other approaches, such as the Sinus-Milieus model (developed by the Sinus Institute), can also be used. Regardless of the model followed, it’s important that your persona creation focus on the emotions, desires and needs of your target group(s) rather than be based on socio-demographic factors alone. 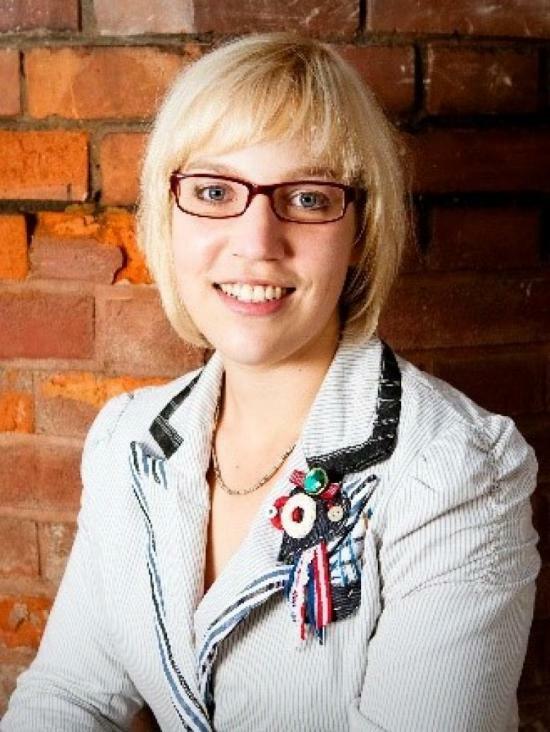 Sabrina Sturm is a freelance marketing consultant specializing in marketing strategy, content marketing, lead generation and social media monitoring. She assists companies with complex products from planning to project implementation. 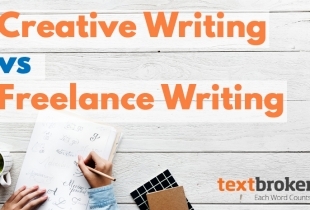 What Is the Difference Between Freelance Writing and Creative Writing? Thank you Sabrina. I found this article easy to understand and very helpful as someone new to this area.